Yacht Bavaria 40 Sport called Judita (38) has been built in 2012. We offer her from base Murter in the region: Sibenik. Judita (38) is certified for 7 passengers. Layout of the sailing boat is 7 (6+1). Bavaria 40 Sport Judita (38) has 3 bedrooms. For comfort of passengers there are 2 toilettes with showers. With engine 38 Judita (38) can navigate really fast. Check other yachts right here: Yacht charter Murter. 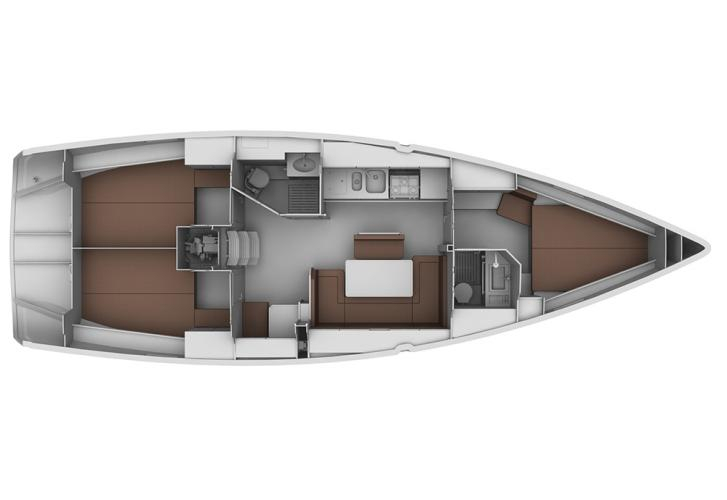 Boat's equipment involves : Bed linen, Heating, Radio cd mp3, Dinghy, Anchor electric windlass, Bimini top, Internet Wi-Fi, Autopilot, Gps plotter, Plotter gps in cockpit, Mainsail with lazy jack. . Security caution is 1300.00 EUR. Choose our offer and enjoy your holidays on the deck of Judita (38). This Bavaria 40 Sport from Murter from Croatia Click for by navigating to this section: Yacht charter Croatia.